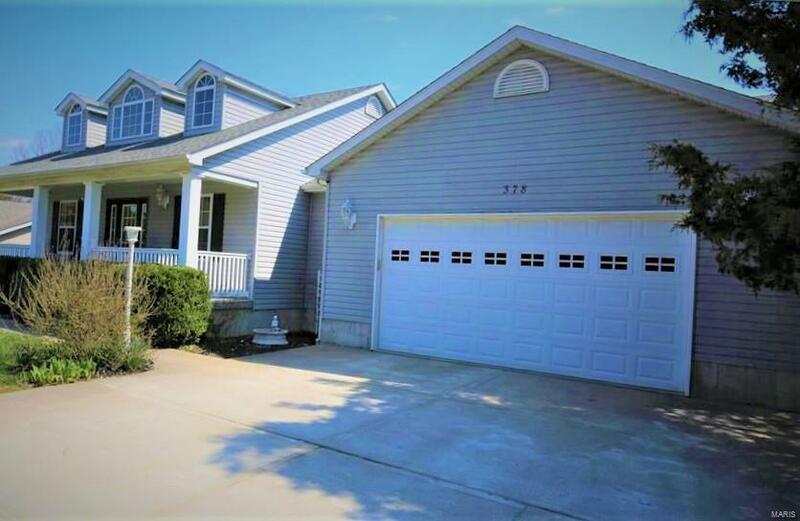 Beautiful newer 4+ Bed, 3 full Bath home with attached oversized 2 car garage with a nice large deck backing to woods for a quiet setting. This home's best features include a two story foyer entry into a grand open great room W/vaulted ceilings, tons of kitchen cabinetry, extra large pantry, master ENSUITE with JETTED TUB, main floor laundry immediately off garage entrance. A fully finished basement and full walkout to concrete patio provides easy access to back yard and steps to deck. Another great convenient feature is a CENTRAL VAC throughout w/car cleaning accessory kit. *Not all rooms are shown as sellers are still removing their stored items. All this located in a peaceful lake and golf community in DeSoto. Seller is also providing a 1 year Choice Home Warranty. OVERSIZED GARAGE W/WORKSHOP AREA!!! ** DIRECTIONS: FROM INTERSECTION OF HWY 21 AND H, TAKE HWY H TO RIGHT ON STONEHOUSE TO RIGHT AT BRIARWOOD *NEW* BACK ENTRANCE TO RIGHT ON BRIARWOOD TERRACE. HOME IS ON RIGHT.